Dr. Louis C.K. Ma is the Director of the School of Continuing and Professional Education (SCOPE) of City University of Hong Kong. Prior to managing SCOPE, he served as the Acting Head of the Department of Information Systems (IS) and Assistant Dean of College of Business. He also worked for Hong Kong Polytechnic University as Assistant Professor/Lecturer in Computing. Prior to his academic career from 1987, he worked for leading organizations in Hong Kong and Australia as an IT professional for a decade. Dr. Ma’s areas of teaching, research/publications and consulting include strategic planning, business transformation, project & outsourcing management, e-business & entrepreneurship, e-learning, outcomes-based education and developing young talents. 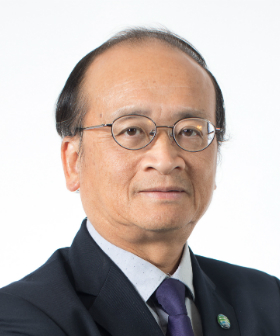 Dr. Ma is active in professional/community services, including Distinguished Fellow and VP of Hong Kong Computer Society, ICT Service Advisory Committee of Hong Kong Trade Development Council, Judging Panel of Asian Pacific ICT Awards and Director of Little Life Warrior Society. His previous services include Election Committee of HKSAR Government, UGC Task Force on Outcome-based Approaches in Student Learning and program/organizing chair of international conferences. Dr. Ma obtained his MBA degree from the University of Technology, Sydney and PhD from the University of Warwick (research in alignment of IS and business strategies).